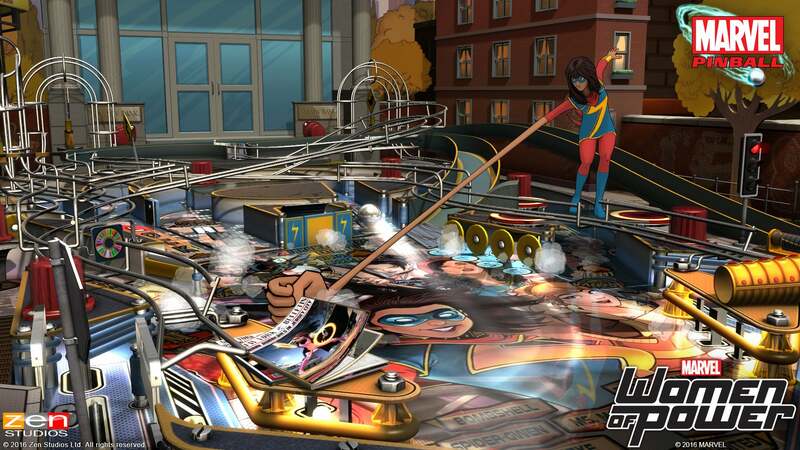 Today the pinball wizards at Zen Studios released a pair of new digital tables featuring just about every major female superhero in Marvel Comics' current continuity. Yes, that includes Squirrel Girl. Yes, I wanted to headline this post SQUIRREL GIRL in all caps. While I show restraint in writing about the new A-Force and Champions tables for Zen Pinball and Pinball FX 2, my Squirrel Girl fanboying gets the best of me in the video above and I start to lose my voice a little. Such is the power of the tree rat. 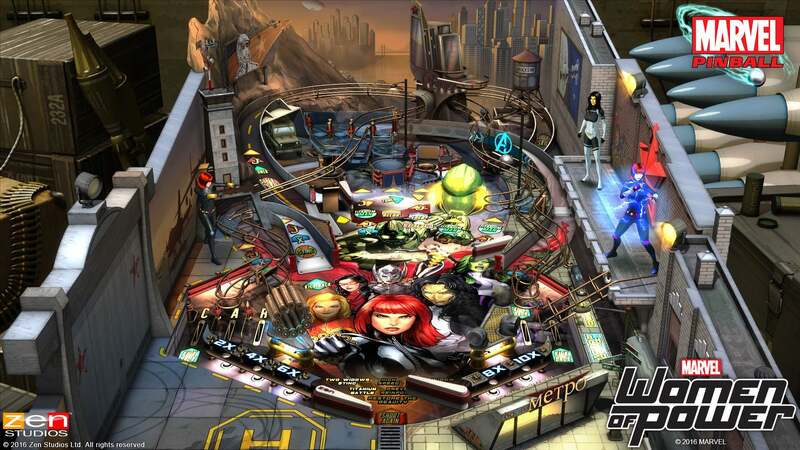 A-Force focuses mainly on the more mature end of the Marvel women spectrum, with Black Widow, Madam Masque, Captain Marvel, Spider-Woman and She-Hulk prominently featured in its alternate reality version of New York City. The Champions table gives younger female heroes a chance to shine. Ms. Marvel stars, Squirrel Girl and her sidekick Tippy Toe chime in from time-to-time, and a host of less important characters show up as well. Both tables are available for purchase and play on PC and consoles today, with mobile versions arriving later this week. I need a lozenge.